One of my very favorite songs that we listen to over and over again is sung by Bev Bos, Michael Leeman, and Tom Hunter. It called Build It Up, and you can find it on the album "We've Been Waiting for You"
"Build it up, and knock it down, and build it up again...."
When our new pet turtle arrived, I needed to rearrange the classroom in order to find a place for our new friend, and rearranging often means that the children have a new found interest in materials simply because they are in a new location. That was definitely the case with our large hollow blocks. These large hollow blocks are perfect for the children to play with! I love to watch how creative they are in their structures and the interactions they have while working together to build it up! So many learning discoveries, when we are at play! DON'T FORGET! There are only a couple of days left to win the fantastic new book by Denita Dinger and Jeff A Johnson LET THEM PLAY, an EARLY LEARNING (UN)CURRICULUM! HOP ON OVER TO THE LET THEM PLAY GIVEAWAY TO ENTER! I love the focus on creative problem solving skills and gross motor development of stacking. 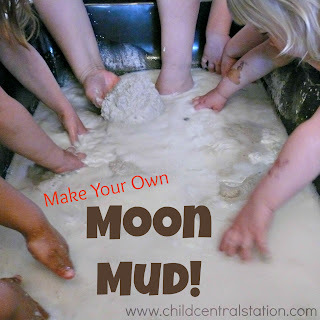 Your approach to preschool with creative curriculum evident in your activity is amazing!